Create a legally binding Alaska Bill of Sale with our attorney-drafted template! What is an Alaska Bill of Sale? An Alaska bill of sale is used to document the change in legal ownership of the item described. While a bill of sale isn't needed for every single item involved in a personal sale, it's still important. It can prove that you either have or transferred the right to possess the item. For example, let's say that you've sold a car to someone else. You completed a bill of sale and, of course, remembered to keep copies for your own records. If you received a letter from the State that said you had unpaid tickets on the car you sold, you now have a way to prove that you don't own the car they're referencing. An Alaska bill of sale would have the information for the buyer. So, you could give a copy of your bill of sale to the State so that they could collect on the outstanding tickets. What Are Some Common Bills of Sale Used in Alaska? The most commonly used bills of sale in Alaska are general bills of sale, bills of sale for ATVs (or snowmachines), bills of sale for motor vehicles, bills of sale for boats, and bills of sale for guns. Remember that both parties listed in the bill of sale should sign and date it. Both should also keep extra copies of it once it is completed. How Do I Write an Alaska Bill of Sale? In this section, you're going to learn about the requirements for various types of Alaska bills of sale. First, though, we're going to discuss the basic components related to the buyer and the seller. All bills of sale should list the name, address (including city and state), and a driver's license number. Depending on what the bill of sale is for, you may not need a valid driver's license. You may be able to use the number from a state ID card. However, if a motor vehicle of some kind is involved, you must have a valid driver's license. An Alaska general bill of sale is used for various types of personal property. For instance, maybe you're selling livestock, furniture, or your old laptop. In addition to the information about the buyer and the seller listed above, you'll need to include an adequate description of the property. If the item has a serial number or model number, you should include that in the bill of sale. You could also describe the item by color, size, or by other descriptors. A general bill of sale should include the sales price or a description of any trade that is involved. You should include the purchase price in dollars (for example, $500.00), the date the bill of sale was created, the date the payment will be accepted (this is very important if the buyer is paying for the item on a different date), and any information related to a trade. If there are other conditions related to the sale of the item, make sure that you include them in the bill of sale. If the buyer is receiving the item as a gift, that should be indicated. ATVs and Snowmachines must be registered within 15 days of purchase. In addition to information about the buyer and seller, the decal number, the VIN or serial number, the year and make, the body style if it is a Snowmachine, the color, and the date of the sale. To complete the registration process with the State of Alaska, you'll need a copy of the warranty card or dealer's purchase order (if you have it); an Alaska bill of sale, an application for title and registration; and the required registration fees. In Alaska, a bill of sale for a motor vehicle includes the basic information (name, address, and driver's license numbers) for both the buyer and the seller. It should also include the make, model, and year of the vehicle; VIN; color; odometer reading; and whether the title is included with the sale. Next, the bill of sale must include specific information about the trade or purchase price. This information includes how much was paid for the vehicle and when it was paid; the date the bill of sale was entered into; the final date the money will be paid if the buyer isn't paying for the vehicle on the same day of the bill of sale; and any other terms and conditions for the sale. An Alaska bill of sale for boats must include the name, physical address, and the driver's license number for both the buyer and the seller. 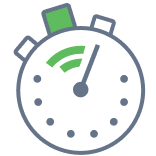 You must also include the make and year; length; Hull ID; registration; odometer in hours; and title number. You must also specify whether a trailer is included with the sale. If it is, you should include the make and year of the trailer. You must also indicate whether an outboard motor is included. If so, you must include the year, make, and the horse power. There are several items that you must include in an Alaska bill of sale for a gun. You must include the name, physical address, and driver's license number of the buyer and the seller. You must include the caliber, make, model, and serial number of the gun. You can also include any other information that you believe should be included related to the gun. The bill of sale should include the purchase price. The purchase price must first be listed in words and then in dollars. For example, "Two hundred and fifty dollars and no cents; $250.00." You must also indicate whether the payment for the gun will be made in cash, check, or money order. If the amount for the gun is going to be paid out, the date the balance is due should be listed, as well as the down payment for the gun. You should also attach a promissory note. An Alaska bill of sale should include any defects present in the gun. 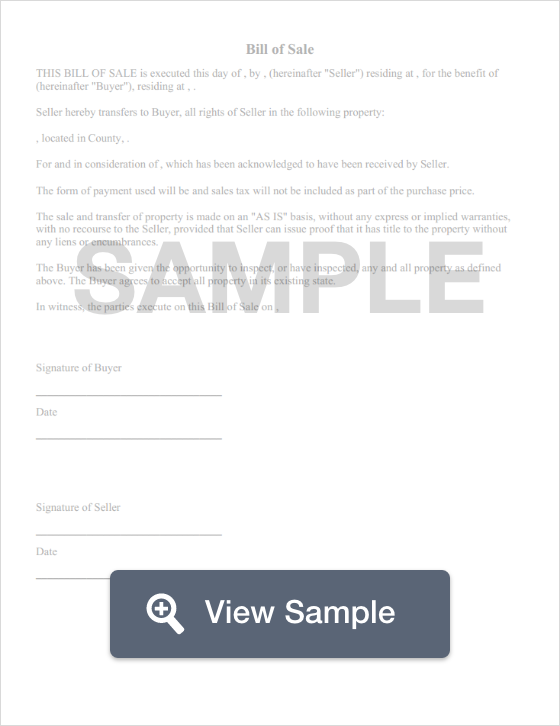 In addition to the signatures of the buyer and the seller, the document must be signed by a witness and notarized. Is an Alaska Bill of Sale Required to Register a Motor Vehicle? Yes, an Alaska bill of sale is required to register a motor vehicle. If the vehicle has never been registered in Alaska, you must complete the registration process within 10 days of buying it or bringing it into the state. However, if you buy the vehicle from a dealer in Alaska, they usually submit everything you need to the DMV for registration purposes. If you do not have a DMV within 50 miles of your home, you may complete Title Application 812 and mail it in along with the rest of the required documentation. To register your vehicle, you'll need the title, a completed Title Application 812, the VIN as recorded by an inspector approved by the DMV, and the registration fee and taxes. If you're buying the vehicle from a private party, you will also need a lien release, an odometer disclosure statement, and proof of previous registration. Is an Alaska Bill of Sale Required to Register a Boat? Yes, you need an Alaska bill of sale to register your boat. New and used boats that are powered in some way must be registered with the state if they will be used within three miles of the shore regardless of the size of the body of water. To register your boat, you must include a completed Boat Registration Application, a bill of sale (which acts as proof of ownership), and the associated fees. If you do not have a bill of sale, you could use an Affidavit of Ownership, a carpenter's certificate, or a title or proof of registration if you moved to Alaska with the boat. Is a Bill of Sale Required to Register a Gun in Alaska? No. Guns are not registered with the state outside of applying for a concealed handgun permit. However, you must be at least 18 years old and have the legal right to own a gun. You must be at least 21 years old to apply for a concealed permit. Concealed permits are good for five years and require renewal. However, an Alaska bill of sale for a gun is still an important document. It can be used to prove that you have legal ownership of a gun or that you transferred ownership of it. 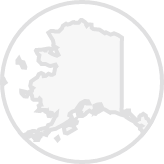 Create a free Alaska Bill of Sale in minutes with our professional document builder.